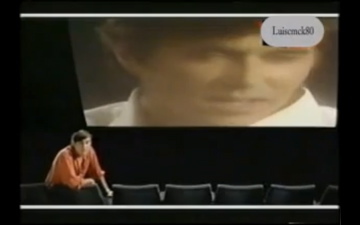 For those of you who view Bryan Ferry as unimpeachably slick and cool, check out this zero-budget atrocity of a promo video for Roxy Music’s 1982 single ‘More Than This’. Things get off to a supremely awkward start as a salmon shirt-clad, hand-on-hips Ferry lurks beneath a shining cross sporting a posture that sits somewhere between ‘camp’ and ‘ashamed’. As the light of Christ floods the screen, the camera creeps closer and closer to the singer, who looks as though he’d rather be anywhere else. At 00:48 Ferry sings, “No way of turning”, and stalks off camera. Suddenly we are in a cinema and Ferry promptly TURNS AROUND to watch the screen. 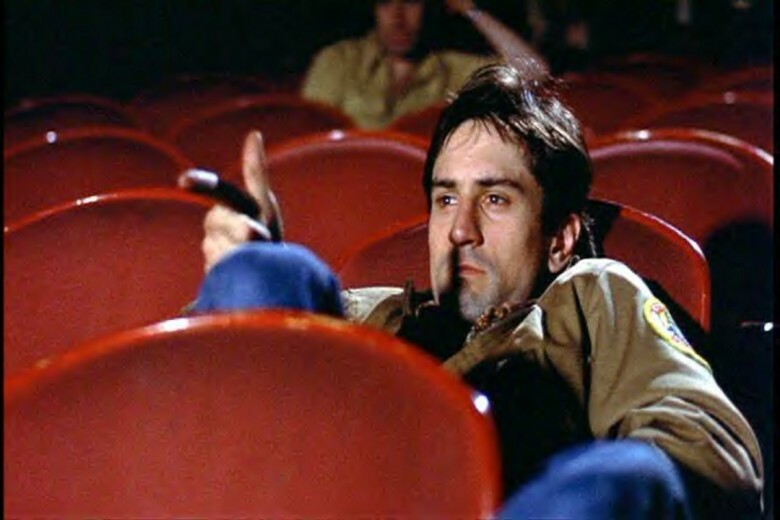 Often, characters going to the cinema is a fascinating trope (think Travis Bickle in Taxi Driver). But not here. Ferry just sits there with his back to us, presumably watching the discarded rushes of the ‘More Than This’ shoot. After some lumpen sashaying in front of a cheaply rendered, brothel-tastic inferno (is the drummer on fire?) Ferry settles down in his comfy seat, TURNS AROUND again, and that’s it. For a minute and a half. This entry was posted in Bits and pieces and tagged 80s, Bryan Ferry, cinema, More Than This, music video, Roxy Music, rubbish, Taxi Driver, trope on March 3, 2011 by Ashley Clark.